Continuing its push into the location discovery and recommendation space, Foursquare will update its iOS mobile app on Wednesday morning, moving the service’s search capabilities to the front and center of the phone. 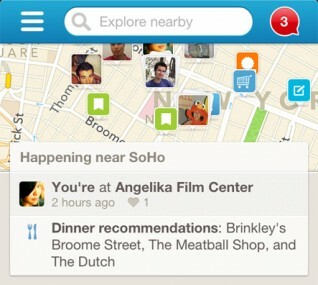 “Explore,” however, is the direction Foursquare wants to go in for the future. 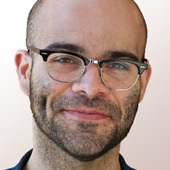 Over the past year, the company has slowly moved away from its heavy emphasis on badges, mayorships and “gamification” (my least favorite word in tech), instead moving toward a mobile discovery service somewhat akin to the space Yelp currently inhabits. This has been a long time coming. Foursquare CEO Dennis Crowley has said in the past that the search function should have been on the front door of the app from early on, calling it the company’s biggest mistake, in retrospect. He has also said that there should be fewer friction points in navigating the apps. That’s what we should expect from Wednesday’s app update. Fewer taps, heightened emphasis on local search, and little bells and whistles like autocompleted suggestions in the search box to serve up recommendations for places to discover. 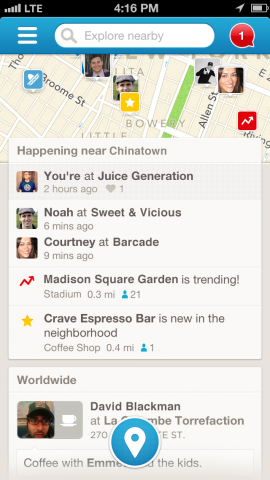 Ostensibly, that’ll be better news for Foursquare’s paid products, as well. Local updates — or business suggestions inserted into a users’ feed at the paid request of an advertiser, based on location and time of day — will now receive more prominent placement in the app by default, as users won’t be forced to make those few extra taps to navigate into the “explore” tab to see those suggestions. An important thing, considering that Foursquare is feeling the pressure to monetize, four years in. Expect the update to roll out Wednesday morning.